This time of year brings a lot of talk about New Year’s resolutions which ultimately leads to many people quitting those resolutions in favor of the same old bad habits. Well, we had fallen into the bad habit of not communicating with our friends and Team Benjamin supporters about Ben’s progress over the last 18 months. The original purpose of us creating our website, Facebook and Twitter page and email list was to both let our friends know about Ben’s life and progress but just as importantly to educate other parents of disabled children on our experiences and therapies and services that have made Ben’s and our lives better. For a lot of reasons, some good and some not, we stopped doing that at a time when Ben was making his best progress. 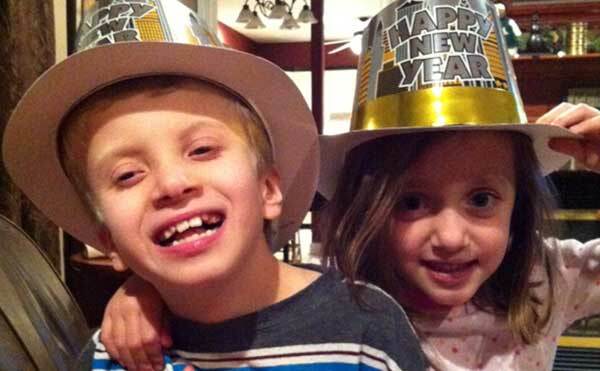 So our New Year’s resolution is to hit the reset button on our efforts to bring attention to Ben, his life and progress, and how all the people and therapies have helped him and us live our lives more independently. And we don’t plan on quitting this resolution because Ben doesn’t quit. Ben never quits. PS — please watch this video showing Ben walking through our house. Making independent turns and balancing so well while walking is a NEW accomplishment!